Thank you for your interest and participation in our eLearning! We will be conducting prize draws in which all travel agents from Continental Europe who successfully completed the five modules of the SAA eLearning will automatically take part. Good luck to all participants! The winners will be notified by SAA Frankfurt via email. 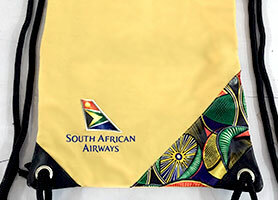 Once a month you have the chance to win an exclusive SAA String Bag which contains some great SAA essentials. Be surprised by the conents of your very own SAA Goodie Bag! 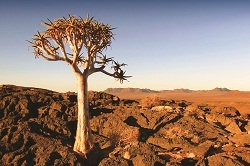 All travel agents who successfully completed all five modules of the SAA eLearning will automatically enter the draw of the respective month. No cash value or alternative prize is available. The winners allow SAA to use one photo of themselves, their full name, and agency name for SAA marketing purposes. The competition is open to all travel agents in Continental Europe over the age of 18. The draw closes on the last day of each month at 23:59 (MEZ/CET). 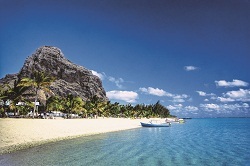 In addition to the monthly prizes, you have the unique chance to win two Economy Class tickets to South Africa, Namibia and/or Mauritius. The prize includes all airport taxes and surcharges and is valid for a round-trip for two in Economy Class from Continental Europe to Johannesburg, Cape Town or Durban in South Africa, Windhoek in Namibia and/or Mauritius. Also included is a feeder service to our gateways Frankfurt and Munich. All travel agents who successfully complete all five modules of the SAA eLearning by 30.09.2018 latest will automatically take part in the draw. The winner will be notified via email. The journey needs to be conducted within one year after the draw. Exclusion times and other conditions apply. 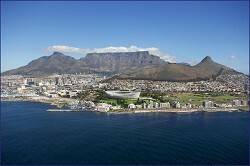 The winner and his/her travel companion must travel to and from South Africa on same dates and flights. Open jaws permitted. Stopovers permitted. Only applicable for SAA flights (feeder service to our gateways Frankfurt and Munich are only conducted by partner airlines). Tickets are non-transferable and non-amendable and no cash value or alternative prize is available. The winner agrees to provide a photo of themselves and to comment on SAA and their trip; this may be used in future SAA marketing. The draw closes on 30.09.2018 at 23:59 (MEZ/CET). SAA staff and General Sales Agents (GSAs) are excluded from participation.